Amrit Filtration Equipments is reckoned among the well-known developers, manufacturers and suppliers of a wide multiplicity of Filter Cloth, Modified Filter Bags, Non Woven Media and Filtration Machinery in addition to its Spares. We takes satisfaction in providing solution oriented approach over long-established selling approach which helps us stands as a boss in Filtration products by providing high performance products in addition to technical support services for significant applications. Our products are used in innumerable number of applications in diverse kind of machines busy in air, liquid, solid, separation in all kind of production like food and beverage, Chemical, pharmaceutical, cement, mining, steel, power sector, construction, refining, ecological industry and countless more. Our fabrics and further filter elements help our clients to gain utmost Filtration efficiency in least amount of time and Filtration expenditure. We have proficiency in giving suggestions and solutions to loads of Filtration problems on the basis of our familiarity and understanding in this field. Meticulousness in fabrics work, Expert dealing out, Technological knowledge along with Vast experience are the roots that have helped AMRIT Filtration EQUIPMENTS grow as a leading company in the field of industrial fabrics and filter articles and making air, liquid, solid Filtration much easier for clients all over the country. 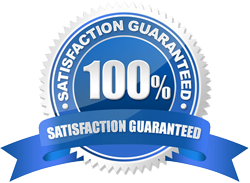 To gratify our clients by delivering superiority products within the predetermined time. With unremitting quality up gradation and technical modernization, become one of the India’s leading providers of air pollution control and liquid Filtration products.